Today I wanted to share two products in the world of K Beauty that I have been using within my skincare routine from Glow Recipe. 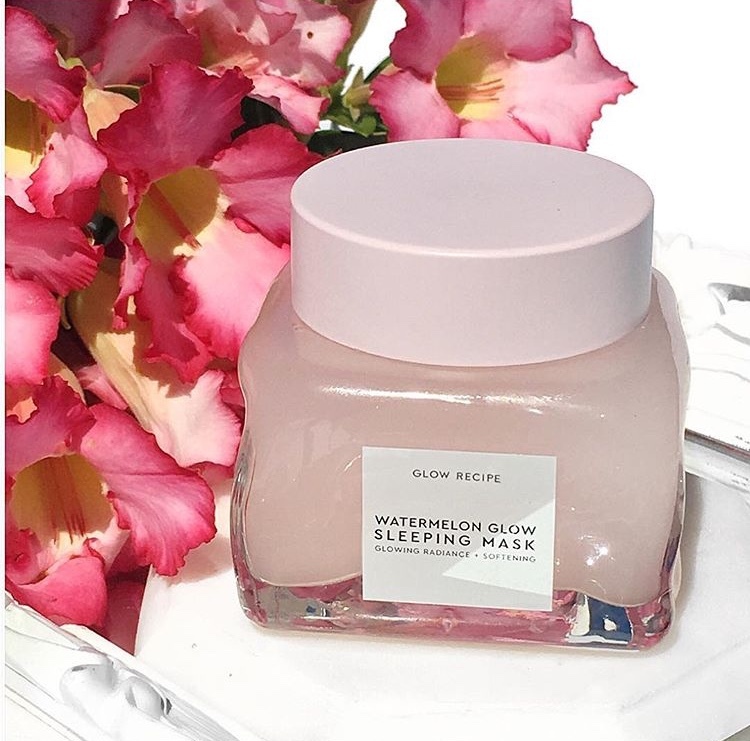 The Watermelon Glow Sleeping Mask is a product that was introduced to me last summer while the Watermelon Glow Pink Juice Moisturizer is a more recent addition that launched in January. I use masks once or twice a week depending on my skincare needs. It helps to provide more targeted treatment for my skin and will give me a boost when I need it most. The Glow Recipe Watermelon Glow Sleeping Mask upon its initial launch had a 5000 person waitlist (!) It flew off of Sephora shelves and after trying it for the first time, I could see what the hype is all about. First, it has a jolly rancher watermelon scent that smells so delightful. I don’t find it overpowering in any way, however those of you that are sensitive to scents may want to give it a test run at Sephora first. It has a bouncy, breathable texture that is oil-free, lightweight and is formulated with watermelon extract to soothe. It deeply hydrates with hyaluronic acid, and consists of gentle AHAs that work while you sleep. 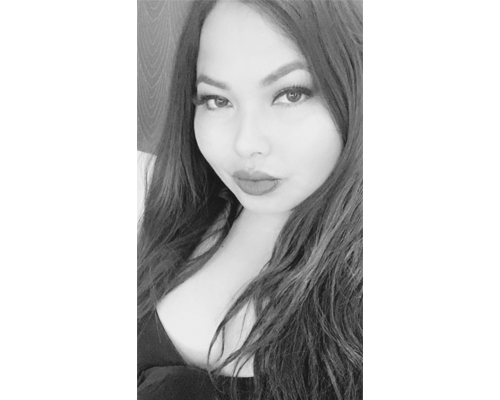 It feels incredible on my skin and I use it overnight at least once a week. You could also use it as a rinse off mask and let it seep into your skin for ten minutes before rising it off. I have tried it both ways and I prefer using it as a sleeping mask. The end result is glowing, hydrated and baby soft, smooth skin come morning. 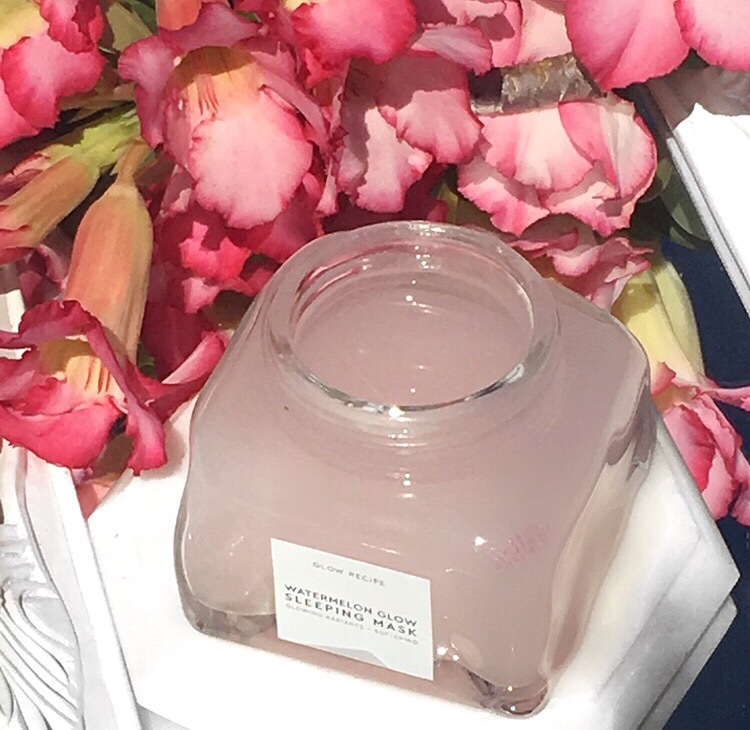 The Watermelon Glow Pink Juice Moisturizer is a lightweight moisturizer that is described as ideal for oily to combination skin and also formulated with vitamin-rich watermelon extract, hydrating hyaluronic acid, and soothing botanicals to help boost radiance and glow. For dry skin, it can be used as a serum before layering with a moisturizer. It has a really bouncy, gel like texture that feels cool on contact when applying it onto my skin. I have normal to dry skin so I use my moisturizer and SPF after applying it and I find that it works well with the other things I use on my face. It’s lightweight, has the same incredible watermelon scent and helps to keep my skin soft and hydrated. In short, I am obsessed with these two products from Glow Recipe. Did I mention that it comes in the most adorable pink packaging? Even if it didn’t, these products are definitely worth checking out! 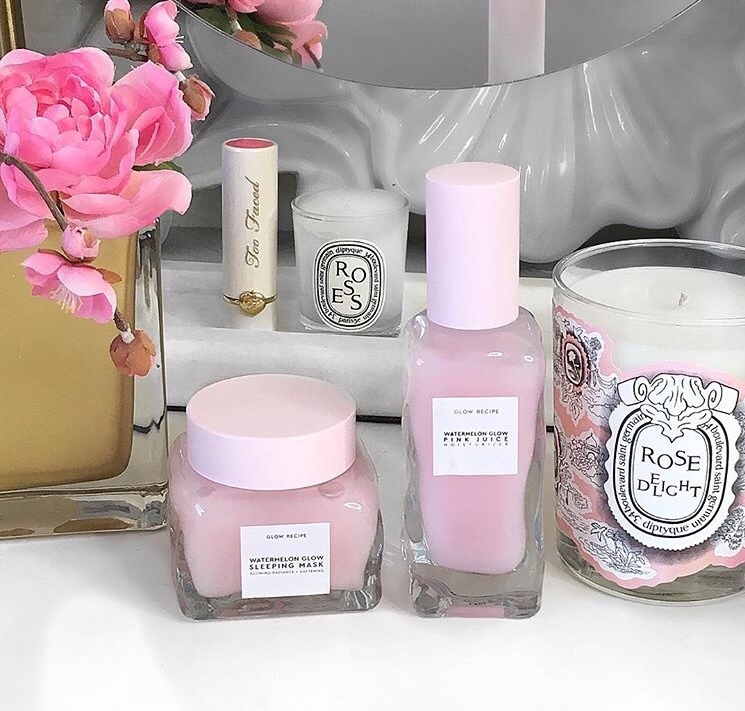 You can find the Watermelon Glow Sleeping Mask and Pink Juice Moisturizer now at Sephora.